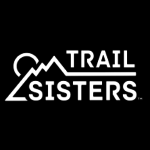 Please welcome the ninth of our 2017 American Trail Running Association (ATRA) Trail Ambassadors presented by CamelBak. We’re proud to introduce you to Carol Tatom, a trail runner who builds community by sharing her passion for the sport with others. She offers advice, encouragement and support which extends well beyond her training partners. This busy 40-year-old mom of four is also the co-founder of Endurance Beast, a company whose line of products is specifically geared to the trail and ultra trail runner. With four children ages seven to 16, the youngest with special needs, her time running hundred milers is a welcome break. “It’s a 30-hour vacation for me,” said Tatom, a stay-at-home Mom, who volunteers at her children’s school, and works in the business she co-founded with her husband David in 2015. Carol Tatom and her husband David. Endurance Beast went public in 2016. 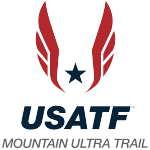 The company has created a line of natural products for runners including Chafing Shield, Stink Beater, and Laundry Wash. “I try to sponsor as many events as I can and will often box up samples for runners in races all over the United States hoping to spread my love of trail running to as many people as I can,” says Tatom. Tatom, who trains about 50 miles a week – and between 55-60 miles a week before her big races, shares her experiences with other moms about juggling training as well as family life. “I can only get up so early and I can only stay up so late,” says Tatom, who encourages people to create a positive balance in their home life as well. People like Wendy Henley, who writes in her nomination letter, “Carol is an absolute gem and the reason I jumped into Ultra running when I did. I had already done a marathon and was training for my next one when she convinced me that I had what it took to do a 50k. She was so encouraging to me as a mom, that if she could do it with four kids at home, I could do it with just two. Tatom offers suggestions for others getting into the sport. “I would say to reach out to a local running group (Tatom, who lives in Plano, Texas, has run with the Dallas Dirt Runners since 2014), or someone who has done ultras before and train with them. It helps to hear other people’s experiences and stories. Had I tried to do it on my own without talking to anyone, I don’t think I’d be as successful. 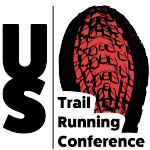 You can meet Tatom and also learn more about Endurance Beast at the US Trail Running Conference next month. Tatom will be one of the vendors on Saturday, October 13.